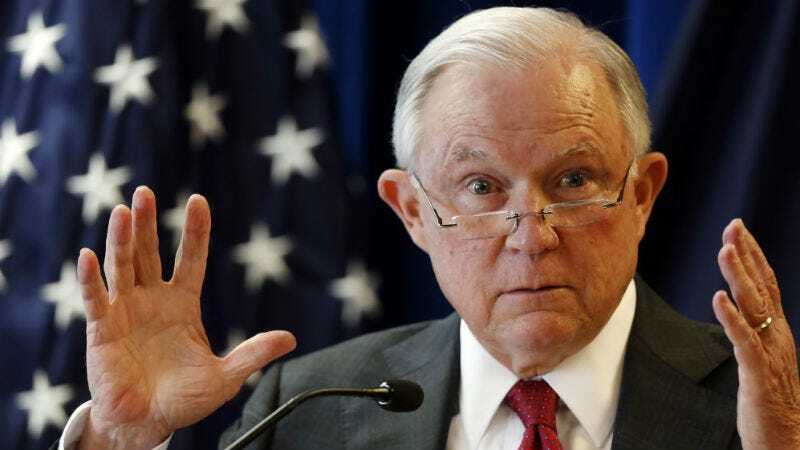 The American Civil Liberties Union sued Attorney General Jeff Sessions, Homeland Security Secretary Kristjen Nielsen, and other administration officials Tuesday for blocking victims of domestic abuse and gang violence from receiving asylum in the United States. It’s a bold, brazen slap in the face to immigrants coming to the country in the hopes of finding a safe haven. The ACLU argues these provisions are unlawful and wants the courts to stay the removal of their plaintiffs and grant them new asylum interviews. Among the plaintiffs is a woman given the pseudonym Grace, NBC News reports. Grace is “an indigenous woman from a small village in Guatemala who sought asylum after fleeing an abusive partner and his gang member sons and facing years of sexual assault, beatings and death threats, according to the ACLU.” Under a previous administration, the ACLU argues, Grace would have had a strong claim to asylum. Under Trump, because of Sessions’ new guidance, she was denied. Check out the rest of the story at NBC News.